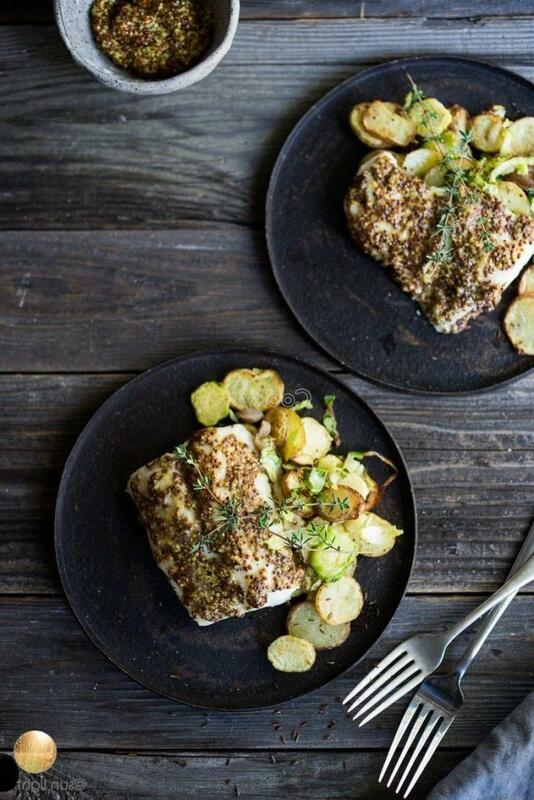 Easy baked fish recipe guides us on how to have a savory fish dish. 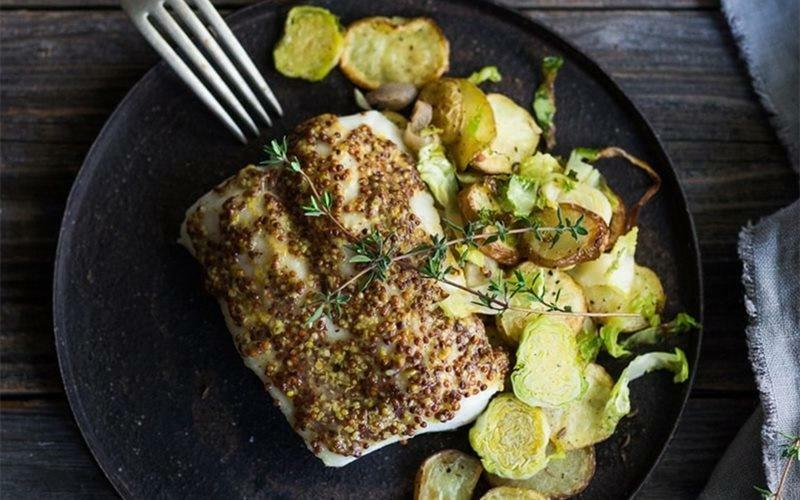 Moreover, fish fillet baked with mustard in the article is one of the simple fish recipes we should try. 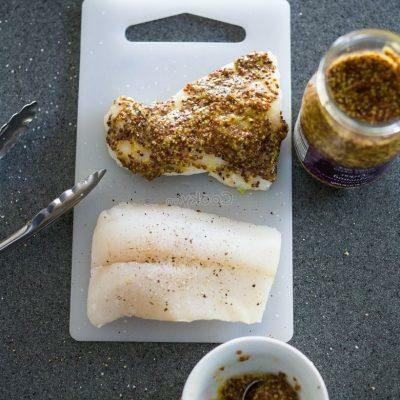 Besides, fish fillet contains vital nutrients such as omega-3 and protein for our health. 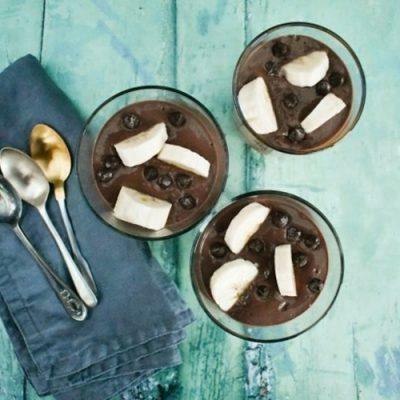 More especially, the addition of potato will balance protein and fiber of the dish. Also, mustard makes it a bit spicy, which encourages our taste very much. Turn on the stove at 230 degrees Celsius. 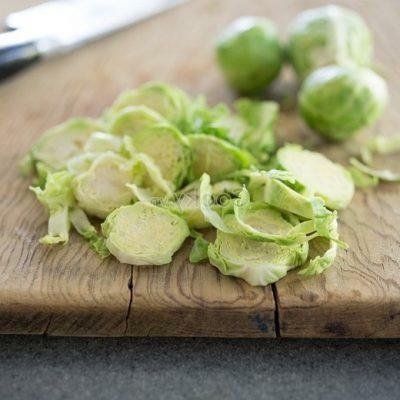 Wash potatoes and cut them into thin slices (remember to remain their coat). Next, remove the coat of onion and cut it into thin slices. 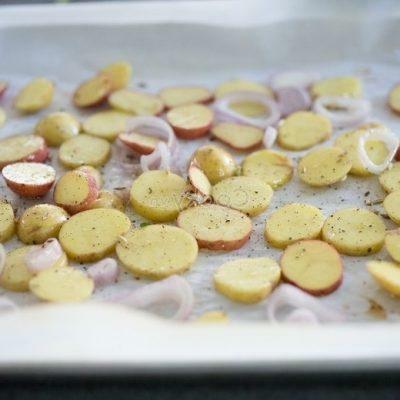 Spread a layer of kitchen foil onto the surface of the baking tray and arrange slices of purple onion. 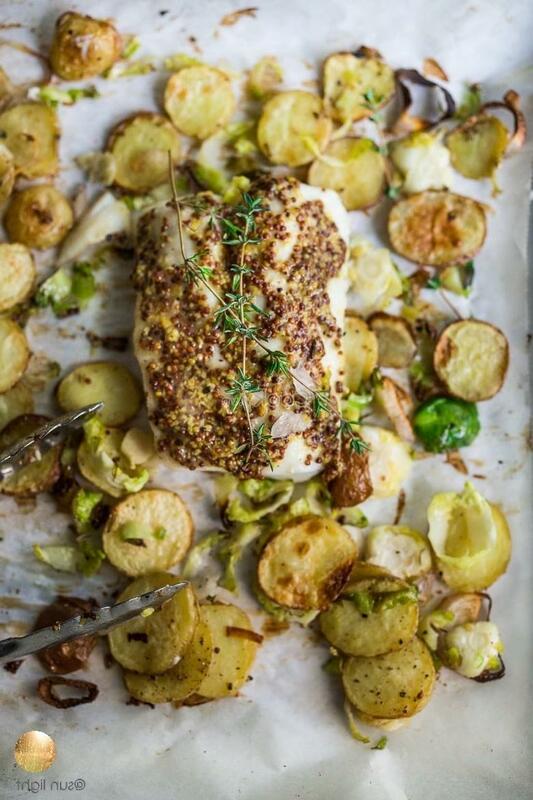 Then pour olive oil, and sprinkle salt and pepper evenly and put the baking tray in the oven to bake for 20 minutes. 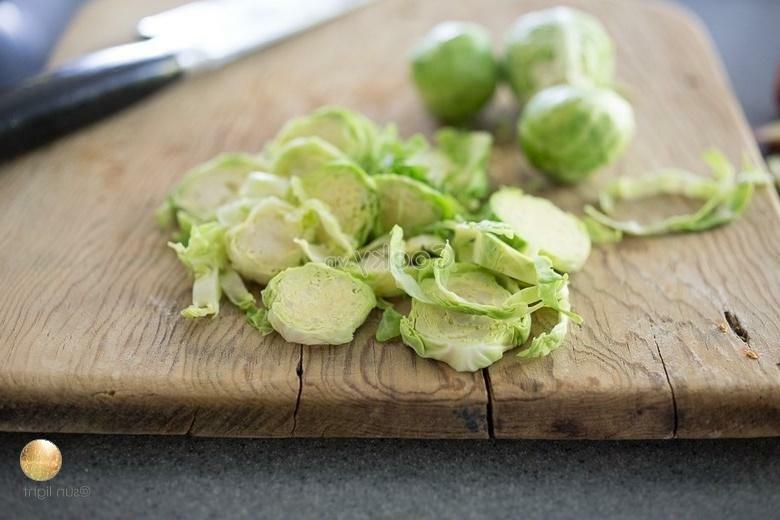 Wash mini cabbages and cut them into small pieces. 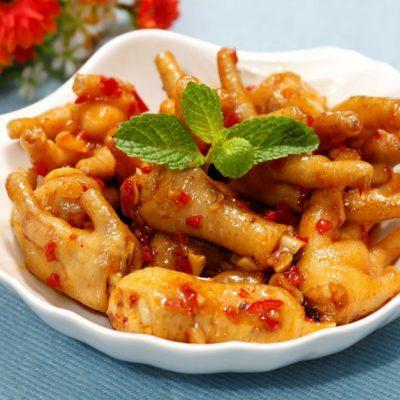 Put these pieces into a bowl and add carom seeds, salt, and pepper to mix them finely. Next, wash fish fillet and let it dry. Also, marinate it with pepper. 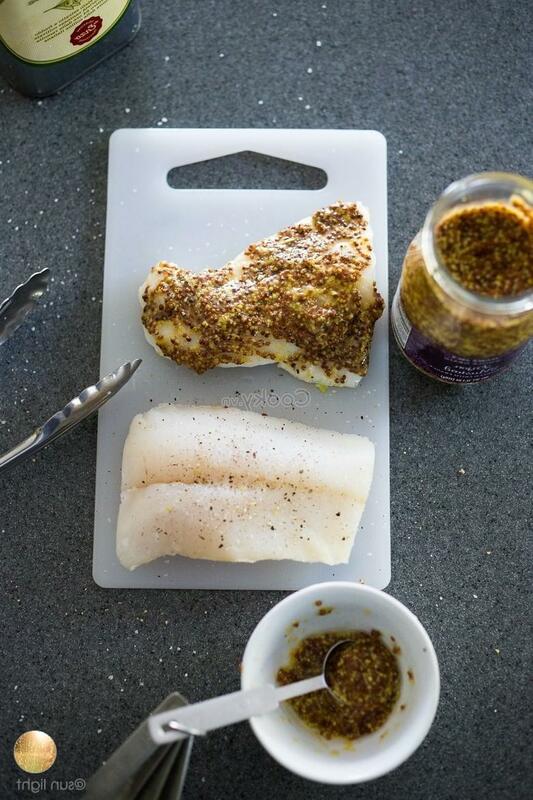 Then, mix whole grain mustard with olive oil in a bowl and spread evenly on the whole surface of the fish fillet. 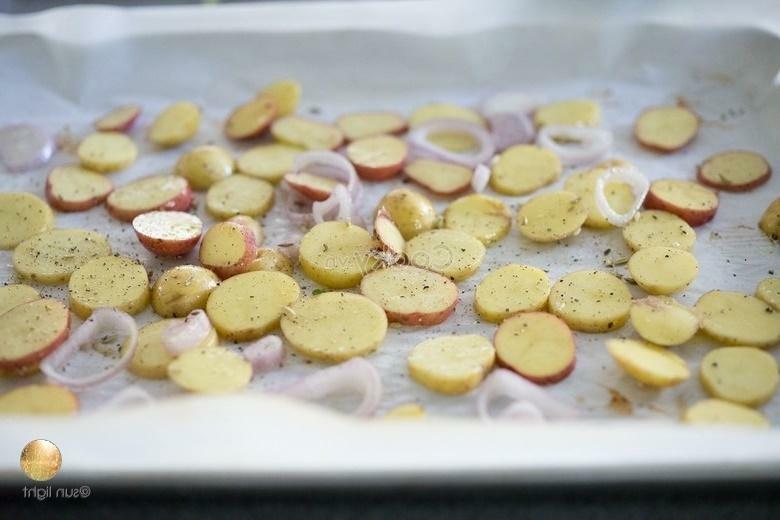 When the potato and onion slices are cooked, take the baking tray out and put fish fillet and cabbage pieces on the tray. Then, continue to bake within 12 minutes until the fish fillet is cooked. Take the baking tray out. 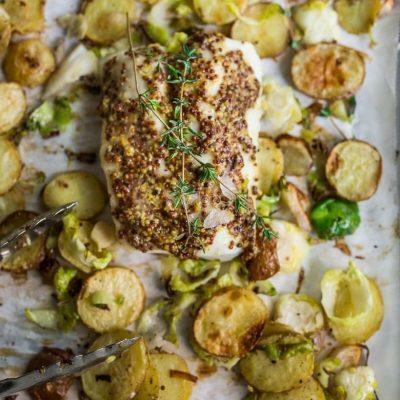 Put the fish fillet, some potato and onion slices, and cabbage pieces on a plate and enjoy.